A HELOC is a type of secured loan available to property owners. It is a home equity line of credit that is based on the loan-to-value ratio of your home which is usually around 80-85%. The attractive rates of a HELOC can be a smart and profitable way to free up credit for anything from unexpected repairs and renovations to using it as a down payment for purchasing one of our fabulous Taos homes for sale. 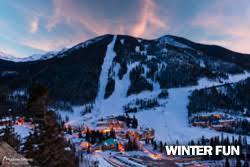 Perhaps you have been dreaming about a Taos investment property such as one of our Taos Ski Valley or Angel Fire Resort condos to rent out when you are not using it, but are not sure where to begin? If so, a HELOC may be something you will want to look into. The HELOC is like a line of credit which revolves as you make payments. As you pay, credit continues to be available for the draw and repayment period which is typically 5-10 years, but can go as long as 20 years. Payments during this time may be interest only. Once the repayment period begins, you can no longer access funds and will be making payments that combine interest and principal. Interest rates can fluctuate with a HELOC, thought there are some lenders who offer fixed rates during the draw or repayment period. Some borrowers even choose to refinance their HELOC once it has entered re-payment to a fixed rate mortgage in order to have a stable, predictable payment. At New Mexico Mountain Properties, we use lenders that can guide you through the process of adding Taos or Angel Fire properties to your portfolio, buying your first home or choosing an investment property. Come visit our expert Taos brokers for Taos homes, condos in Taos or Taos land for sale or call 575-758-5852 ....we will help you find the perfect property for your lifestyle. In Angel Fire, our skilled brokers can help you find an Angel Fire condo for those winter weekend getaways, Angel Fire land to build the home of your dreams or an existing home in Angel Fire to make your own. The time is right and the mountains are calling! Call our Angel Fire brokers at 575-377-2626 or stop in at our Angel Fire office located at the junction of Highway 64 & 434, the large log home with the Indian tipi!